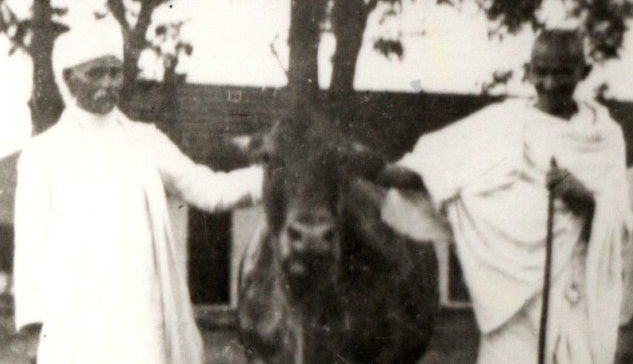 At a time when lynching of Mohamad Ashfaq on the “suspicion” of keeping beef in his refrigerator is sought to be justified by powerful politicians of the country, facts have come to light suggesting that two of the most important pillars of modern India, Mahatma Gandhi and Baba Ambedkar, opposed ban on cow slaughter tooth and nail. Speaking at a prayer meeting in Delhi on July 25, 1947, Gandhi said he would advise thousands of those who had written to Rajendra Prasad demanding a ban on cow-slaughter not to “waste money”, as their postcards, letters and telegrams had had “no effect” (click HERE to read the full text). Referring to a telegram he received “which says that a friend has started a fast for this cause”, Gandhi insisted, “In India no law can be made to ban cow-slaughter”, underlining, “I shall suggest that the matter should not be pressed in the Constituent Assembly.” The Constituent Assembly, under Ambedkar’s chairmanship, was then already involved in the onerous task of making of the Indian Constitution. “We really do not stop to think what true religion is and merely go about shouting that cow-slaughter should be banned by law. In villages Hindus make bullocks carry huge burdens which almost crush the animals. Is it not cow-slaughter, albeit slowly carried out?”, he wondered. Ambedkar, in an erudite article, ‘Did the Hindus never eat beef?’ said, “When the learned Brahmins argue that the Hindus not only never ate beef but they always held the cow to be sacred and were always opposed to the killing of the cow, it is impossible to accept their view”. The article is available in “The Untouchables: Who Were They and Why They Became Untouchables?” in Dr Babasaheb Ambedkar Writings and Speeches, vol 7 (Government of Maharashtra, Bombay, 1990, first edition 1948), and appears on pages 323-28 (click HERE to read full article).